Up or Down? What’s it going to be? Being in VoIP marketing, I read a LOT about the VoIP industry during the day. One of the things that confuses me is how more households can be utilizing VoIP lines (particularly through cable providers), yet the market seems to claim that VoIP subscriber line orders are shrinking. I, for one, am confused. How can an industry growing in homes and businesses across the country be shrinking? Seems kind of contradictory to me. Meanwhile, on a day prior, May 19, Om Malik at GigaOm produced a post on VoIP booming in the U.S. thanks to cable service providers like Comcast, Time Warner, Cox, Cablevision and Charter. Most of the new customers are coming from RBOC’s (At&T, Verizon and Qwest), with that industry losing 17.3 million residential telephone lines, and VoIP service providers gaining 14.4 million new customers. According to Om’s post, nearly 80 percent have come from cable companies. So where does this leave the reader or manager inquiring about the industry? From the way I comprehend it, people are using their current broadband lines to incorporate VoIP, rather than having to buy new lines. Considering that half of American homes have broadband Internet, new lines are not necessary. But the good news is that people are jumping onto VoIP, and will have a need for more VoIP systems and services. The telecom that could is growing in a big way. You’re ready to buy! So what happens now? So many factors could influence a buying decision of this caliber since the choices for products are endless. It’s almost like choosing one of three doors and hoping for the best, which would be fine if you were Indiana Jones. My goal is to have you walking away from this four-part series with the confidence to buy the right product at just the right price point. Step one: let’s structure your price point to meet your needs. If you’re going to make an investment in outdoor surveillance YOU WILL pay more. Let’s face it, materials and accessories are one surefire way to bulk up your order total. With an approximately 25 percent price difference, a several thousand dollar outdoor setup can be substantially more than your indoor-based IP solution. We’re not talking about Bazooka Joe bubble gum here, IP surveillance is a big ticket investment. Weighing in at just under $100, this Panasonic delivers the most basic yet reliable setup. It’s ideal for any home office or small storefront. Another ideal desktop or shelf top solution, this Q-see delivers a little more bang for the buck and includes a built-in web server. You can now access your view from any computer around. The heavyweight of affordable technology, this TRENDnet is ideal for shelf and small area space. It has wireless access and a built in server, so you can send images via Wi-Fi to your server or access the camera itself from any desktop you sit at. DVR = Digital Video Recorder. Fundamentally not much different than the TiVo box sitting on top of your television, but it records video streams from analog security cameras as opposed to your favorite television shows. DECT vs. Wi-Fi Death Match…Who Will Be Victorious? Today I am talking about DECT and Wi-Fi Technologies, and who I think will win out in the end in an endless battle for supremacy. This idea came about after reading a VoIP-News.com article (SNOM Brings m3 DECT Phone to U.S.). The article shows that DECT is a technology that has worked well in the European market, and that it is just now starting to hit the U.S.
DECT (Digital Enhanced Cordless Telecommunications) uses base stations and SIP (Session Initiated Protocol) to connect to your VoIP PBX. Think of it this way; your cordless phone at home has a similar base station to charge and receive signals to talk to your old analog phone lines. The technology works pretty much the same way, but instead of an analog signal it’s using digital to talk to a VoIP phone system. Pretty easy to understand that way. Now, expand on that thought and think about multiple phones on one base station. That is what this technology is giving the digital world. Then there is Wi-Fi. Good ol’ Wi-Fi. What isn’t there to love about wireless signals that can be used to talk to computers, phones, and other goodies? With Wireless VoIP technology you have an access point, or a “Hot Spot” (like Starbucks) and access to the World Wide Web. That too is pretty easy to understand. Now that you have a very basic understanding of the concepts that run both DECT and Wi-Fi you should also understand the cons of such technology. To wrap this up we need to look at access points and the base stations. These are the backbone of any network, and these are how the units get the information needed to communicate to an IP PBX. Wi-Fi has an easy to set up wireless access point, such as the Linksys Wireless routers. They are cheap, and very easy to setup. Then there is the base station for the DECT phones. Not as easy to setup, but still pretty simple; I would estimate about double the amount of time taken with Wi-Fi access point will be taken on the base station, and also they are not as cheap. A typical Wi-Fi station setup will cost $69.95 to $165 for a Linksys Wireless router and another $210 for the WIP 330 unit, Total being in the range of $270 to $350. For a Polycom DECT, setup will cost $344.99 for the Base station (Called Server 500) then another $414.99 for the KIRK 5020 Phone. Snom has a bundle package available called M3 for $244.99 that comes with one phone and the base station. This can hold up to eight phones on the same base station. So, if price is your biggest concern then I would call Wi-Fi the winner, if it’s not, and you want a nice system that is reliable, and doesn’t interfere with your current wireless network, then I would say DECT wins. (WINNER= DRAW). Spit = Spam over Internet protocol. I’ve heard everything from Spam to Phishing to Vishing to Chicken Scratch. Next up in the hacker field could be VoIP technology, or so Mr. William Jackson says from Government Computer News. I recently came across this article from a Twitter follower; “Careful with that call: It’s only a matter of time until IP telephony is hit by spam and malware.” It was an interesting look at the possible vulnerabilities in VoIP technology, but also an excellent look at the cautionary steps already in place to protect VoIP users from spam, spit and other annoyances. No method of technology or telecoms is perfect, whether it be PSTN, mobile, VoIP, the iPod, HDTV, hybrid cars, etc. Technology continues to grow and change and improve over the years. Look at how many years the automobile has been around. Frankly, there are still MANY ways to improve there. Only in the past five years or so has the general public grown to accept broadband Internet into their homes. And how many people complain that the iPhone is just too slow for Internet browsing? Sure enough, a new model will be coming out in the next year. It’s nice to know that the big guys are looking out for VoIP users and not accepting the status quo of the technology. It displays not a fear for the potential problem, but a concern for the customer, and an investment in their future. Are you worried about spit? What will this do for the telecom industry? Think about it. Spam in your email isn’t that scary. You just have to hit the delete button. GigaOm mentions an upcoming interactive “round table” discussion being hosted by Rensselaer Polytechnic Institute on June 11th called Tetherless World Research Constellation. The panel is comprised of academic and industry luminaries. The cool part….rather than sit at your computer and listen to these MENSA members wax philosophical about the world wide web, you can register as a remote attendee, and submit a question of your choosing. User submitted questions then go through a peer voting process, and the top questions will be fielded by the panel. This has probably been done before, but I thought it was cool and worth mentioning. One of the esteemed panelists is Tim Berners-Lee, whom you probably have heard of if you don’t live in a bomb shelter. 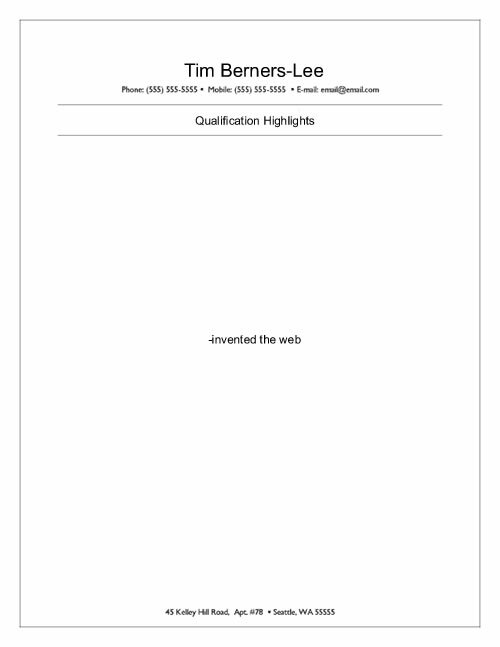 Tim is credited as the inventor of the world wide web (Not George Bush, nor Al Gore)….which is pretty hard to trump. Talk about a feather in your cap. In this web-centric world of ours where everyone has instant access to pretty much everything, I imagine Tim can pretty much write his own ticket….I’d love to be a fly on the wall at an interview where Mr. Berners-Lee is applying for a job. 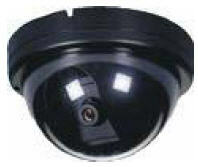 Dome Camera = A type of camera with a dome-like shape. Some come with infrared lighting and some are designed to be tamper-proof. Dome cameras can be analog or IP, fixed, Pan/Tilt or full PTZ. Dome cameras are typically ceiling-mounted or placed under an overhang, but can occasionally be wall mounted depending upon your particular application. What Do You Know About TBCS? In the telecom industry, new products, ideas, and companies seem to come and go like the wind, but one thing remains constant-Tennessee Business Communication Services. “TBCS” is proud to celebrate its 30th anniversary in 2008. As a proud component (meaning VoIP Supply) of the growing success story behind TBCS, I personally want to put them on a pedestal for the general public. In hopes of continual growth through the Midwestern states, TBCS has definitely made its mark in a very competitive telecom industry. Having ties to the local Tennessee community, as a Western Kentucky University graduate, this company has won my interest and dedication fully. I take pride in their core competency which has roots deeper than most “one hitter quitter” telecom companies. A proven track record, along with superior telecom knowledge, has set the standard for local telecom installers. While technology has changed significantly over the years, TBCS’s dedication to customer support has never wavered. Whether it’s a 20-year-old key system (which TBCS still has several under support) or a brand new IP PBX, these daily calls for support are greeted by a friendly live voice and responded to by a courteous local technician. TALK ABOUT CUSTOMER SERVICE!! As a TBCS customer, you can also expect a direct relationship with a personal account manager who will drop by from time to time and physically inspect how things are going. The majority of TBCS’s competitors consider this level of service to be “old fashioned,” but TBCS’s customers wouldn’t have it any other way. VoIP Supply has laid the benchmark throughout the telecom industry for superior customer service; I’m more than honored to see our customer base follow the same “brick road” to success. TBCS, Inc. is a Nashville, Tenn. based company that began in 1978 and is formerly known as Nashville Telecom. In 1983, the name was changed to Tennessee Business Communication Services and in recent years has become known simply as “TBCS.” President and Founder Larry Featherstone, along with General Manager Steve Mars, have been on board since day one and continue to stay passionately committed in the day-to-day successes of an ever-growing company. In addition to these dedicated individuals stands the General Sales Manager, Sean Wilder. Sean is a “Go Getter” and will be sure to assist, comfort, and inform you on questions that may hold up your transition to a new telephony system. TBCS has strategic partnerships with some of the most innovative companies in the world, including Vertical Communications/Vodavi, Win Communications, Adtran, Fonality, and TalkSwitch. TBCS also offers support agreements for a variety of other manufacturers, which you’re just a call away from finding out. Zaptel – Who’s your DAHDI? Digium announced yesterday that due to trademark issues, they will be renaming “Zaptel” to “DAHDI”, which stands for “Digium Asterisk Hardware Device Interface”. Zaptel is an OSS hardware driver API developed by Jim Dixon. Zaptel drivers were initially developed for BSD and Tormenta T1 interface cards. Digium began producing TDM interface cards based upon Jim’s work and made significant improvements to Zaptel on the Linux platform. Jim is the inventor of the Zapata telephony cards and a Systems Engineer (consultant) with the main specialites in Telecom. He’s been doing Engineering ever since Junior High school (although professionally since High school) and have been an Internet developer since 1980 (working on the Arpanet for MIT). He never bothered with college. In addition Jim have been helping with the development of Asterisk during its lifetime. He has also created and been working on the app_rpt Asterisk 2 way radio project. 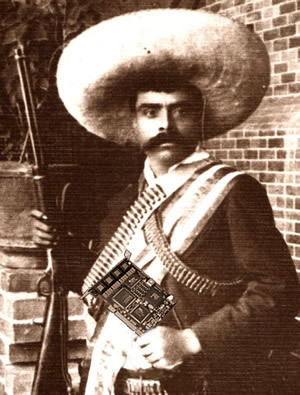 Jim’s Zapata Telephony Project took its name from the historic Mexican revolutionary figure Emiliano Zapata, an homage to symbolize the revolutionary nature of the Zaptel project. The term “Zaptel” is in fact trademarked by this calling card company, prompting Digium to adopt a new name to avoid legal issues surrounding the use of the Zaptel name. Digital Zoom = Digital zoom is not really zoom, in the strictest definition of the term. What digital zoom does is enlarge a portion of the image, thus ‘simulating’ optical zoom. In other words, the camera crops a portion of the image and then enlarges it back to size. In so doing, you lose image quality. If you’ve been regularly using digital zoom and wondered why your images did not look that great, now you know.